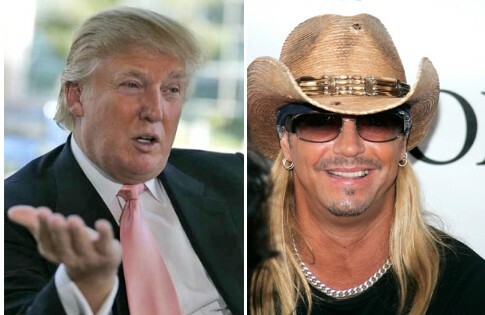 It turns out Brett Michaels was the first one fired on All-Star Celebrity Apprenticebecause Donald Trump didn’t want him back as a contestant! Since Bret had already won, Donald wanted him back as a judge. But according to RadarOnline, Bret knew he could make more money as a contestant if he lasted a few weeks and insisted on competing. Donald retaliated by firing him the first chance he got, but it didn’t cause a ratings surge. Ratings have not been impressive this season and we thought that producers should have learned a lesson from the DancingWith The Stars All–Star version that bombed. Once viewers have seen how the celebrities dance or act up on Apprentice, there’s no reason to watch them again. No surprises! Jennifer Lopez And Heidi Klum Spare No Expense Dressing Up Their Boyfriends!